The PODD earrings call is on Seeking Alpha. Here are a few points I thought patients may like to know. For our existing customers, we will begin the transition from the original product to the new OmniPod in the next few weeks. .... Finally, in January, we signed an agreement with a new continuous glucose monitoring partner. The agreement calls for both parties to continue development work already underway towards the ultimate goal of an OmniPod integrated with a CGM sensor. .... we tested on pigs, so far so good. Sometime next year we'd like to be doing it on people. And we'd like to be doing it on people not as a stand-alone sensor, but in our integrated format. So the big engineering hurdles/opportunities for us is how do we insert this within the framework of the product we have? And how close can it be to the insulin delivery? And the third one is -- and we've tested this a lot now, but we still have to go through in testing it in final is can the sensor withstand ETO sterilization. There is more on the CGM partnership in the Q&A part the call. Hop over to Seeking Alpha if you are interested. Seeking alpha has a post up on PODD (aka Insulet) 2012 Earnings. 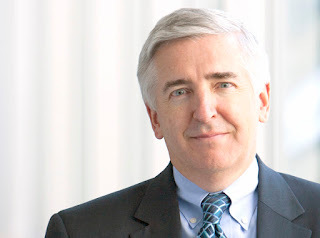 Conference CallInsulet will host a conference call on Wednesday, February 27, 2013 at 5:00PM Eastern time to discuss the Company's fourth quarter and full year 2012 results and present information concerning its business, strategies and outlook. To listen to the conference call, please dial (877) 831-5664 for domestic callers and (832) 412-1780 for international callers. The passcode is 98386780. A replay of the conference call will be available two hours after the start of the call through March 27, 2013 by dialing (855) 859-2056 (domestic) or (404) 537-3406 (international), passcode 98386780. An online archive of the conference call will also be available by accessing the Investor Information section of the company's website at http://investors.insulet.com. We've partnered with Dexcom to integrate glucose sensing with our insulin pumps. Find out how we can help you make a smooth transition to next generation technology as soon as it becomes available. Animas pumpers are eligible for a $200 rebate on Dexcom G4™ PLATINUM CGM today. Call 1-877-YES-PUMP to learn more, and to get all the perks that come with pump therapy from Animas and CGM from Dexcom. *To receive the $200 rebate, Animas patients must be within their warranty period and must purchase the Dexcom G4™ PLATINUM CGM System by 04/30/2013. who have not purchased a full revenue pump since last upgrade. Other exclusions may apply. The most interesting part of the call for me was Terry Gregg talking about Dexcom Share. Share was described as a docking station for a Dexcom receiver that could send information to “designated recipients.” Share would send that information to smart phones. Naturally I assume magic and 50's style radar stations are involved. At one point Dexcom suggest that Share may be the first class III device approved by the FDA to work with a smart phone. I wouldn't know. I do know the FDA mobile guidance is not light reading. For parents this sounds something like mySentry. I perviously likened mySenty to the BatSignal. 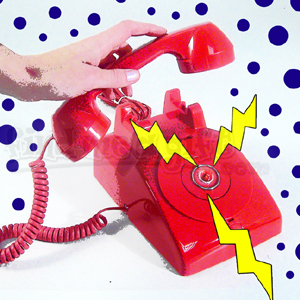 Share seem like it may be similar but with connections to more phones than the red BatPhone in commissioner Gordon's office. By that I mean cell phones not just the dedicated mySentry receiver. The device springs from market research with parents and Dexcom said they hope to submit a filing for Share to the FDA in Q3 2013. In part, Terry said that Share is not getting up at 3:00 am to do a finger stick. Share then would need pediatric approval of Dexcom sensing to thrive. 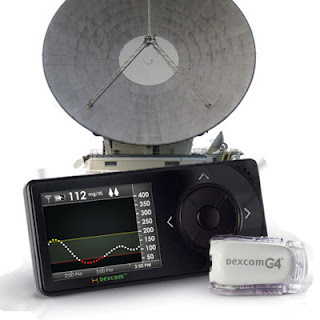 Dexcom reported they received an extension of their CE mark giving pediatric approval of the G4 system in Europe last week. Further they said they have filed a PMA supplement with the FDA for pediatric approval in the USA. That is a 180 day regulatory process. Optimist will note that the FDA has seen the G4, the adult G4 approval was less than 180 days, the FDA on pervious calls was reportedly is very interested in pediatric use. Pessimist will make comments about the FDA. Regarding pump integration Dexcom expects that a PMA for the Animas integrated pump to be filed first quarter of 2013. In another part of the call they noted JnJ reports that in the parts of Europe where the CGM pump is on sale the demand is 30% than where it is not available. There is some detailed conversation about PMA, 510k and who files what is in the Q and A around 35:00 (+/-) mark. There was detailed conversation about pediatric integrated pump approvals in the last few minutes of the call which is another can of worms. Tandem was reported to have agreed to move forward with G4 integration with their pump. Previously the G5 was reported to be the path for integration for Tandem and that the G4 was being studied. So apparently the study showed that integration was a good fit. My editorializing here is the Animas sales and the Tandem study indicate what I think many people living with diabetes hold to be self evident; that an integrated CGM / pump product is more desirable and two separate devices. Regarding the OmniPod, Dexcom cited Insulet releases that the OmniPod is moving to a relationship with an undisclosed CGM vendor to explore a single site combination Pod/CGM sensor. Dexcom’s G5 platform with mobile connectivity was cited as part of the reason that the OmniPod chose to go in a different direction with CGM. Also Dexcom is hoping to extend the time sensors can be worn. This would create a significant difference between pod like and sensor life span. In Q and A approval for a ten day sensor approval was to said not to be a 2013 priority. Dexcom also reported that Roche will not be moving forward with G4 integration with their pump. Costa and time to market were cited as reasons as was the G5 and mobile. #SpareARose had wonderful success in social media raising awareness for the IDF's Life for a Child and helping save some kids. Some results are not in yet but it was clear the Diabetes Online Community came together in a big way very quickly to pull the program together. How quickly you ask? 12 days from first idea as a sidebar comment to going public. So how about taking a quick survey and sharing your thoughts on how to do it better? I just wrote about mice and my pal Mike remedied me that there are stories about dogs and gene therapy in the news. So that it is a different model than than mice. I have joked that you can spit on a NOD mouse and cure it. Still I welcome studies in animals to help find cures. If / when science get there, there may well be a variety of things that are cure-like. I expect better treatments will come first but I digress. So a quick read of reports on the dog study finds interesting things, promoting insulin production and insulin regulation. Both of which lost in T1D with distraction of beta cells. Both are way cool and I hope lead to more discoveries and progress. I would caution, as the reports do, that there is the issues that the dogs don't have an autoimmune process attacking the beta cells. In this case the beta cells were killed chemically. So it maybe the gene thing is part of the process. Stopping the auto immune process seems the big part too. It maybe that the ability to reproduce beta cells is there in full onset but the autoimmune process overwhelms it. Consider for example Joslin has 50 year T1D Medalists who still have some beta cell function. That sure suggests that beta cell can rejuvenate even in long term full onset T1D. (Looking for the citation and I think it was mentioned on 'Rents Blog Talk Radio with John Brooks III.) So the a key then is also stopping the auto immune process that kills them. "Mice Fall Short as Test Subjects for Humans’ Deadly Ills"
That immune system bit - I would think T1D falls right in there. I use to post reports with the tag Mice because they seed so promising. Then I came to realize that Mice get cure all the time. It isn't quite like you can spit on one of these special non obese diabetic mice and it is suddenly cured but it sure sometimes seem that way. I stopped posting about mice. Research in mice is valuable, I am sure that a lot of good basic science happens there. Still if you are newly diagnosed T1D family and you read theses stories read and remember this Times article. Hope is a magic thing and I want you to be hopeful. Hopeful and confident that your child can grow and be successful pursuing his or her individual dreams in a long happy useful life. T1 Diabetes doesn't prevent any of that. Just remember that stories about mice and diabetes are a long way from being stories about THE cure. If you want to read about cure progress I suggest reading Josh Levy's blogs. One is about studies with people and another is about studies with mice. 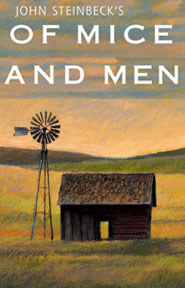 Here's my two bits on his blogs. Be informed, Be hopeful and take what your read on the internet (even here) with a little skepticism. I applaud safety and scrutiny on cardio risks is part of safety. However it is not the only safety issues with insulin. I wonder if the current basal insulins would pass the same level of safety and long term risk for cardio issues. The FDA panel IMHO seemed any potential benefits of the insulin the benefits saying there was already an approved drug so we can be tougher on cardio here. One benefit seemed to be fewer hypos. Hypos have risks and the benefit of a reduction of those risks appeared to me, as non physician lay observer who clearly could be missing the mark, to be brushed over. It is hard to balance all that out but there should be a conversation about it. 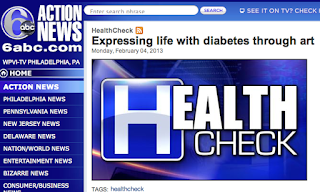 The diabetes online community is all about helping folks. Most of the people who create content do so primarily to help others. That is as it should be. The problem come in when creativity gets poached. On one hand it is good to get the the message out to more who may benefit but not at the expense of profiteering by poachers. First in the community we need to be respectful of other's content and LINK it. Say something specific about the post and encourage people to go read it. In the land of 140 characters, RT don't copy. When the poacher is a site that exist to spin other content to make a living off other folks work you are dealing with a low life. I found one today that is talking my good friend Scott Johnson's content and brazenly mixing with with instructions on how to spin other's work. I have no intention of posting a link that will give them SEO value or clicks. 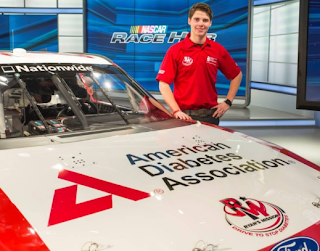 But here is a link to the one and only original Scott Johnson http://scottsdiabetes.com. Sinal Tap fans get 11. It's one louder, isn't it? This Valentines Day think 11 roses, they can be better than a dozen. 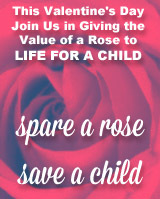 Spare that one rose and join others in the diabetes online community who are sending the value of the 12th flower flower to the International Diabetes Federation's Life for a Child program this week. One flower. It doesn't seem like much money but it is. It can mean life for a child for a few days, maybe a week. Your Valentine will still know you love them with 11 flowers. I found a site on the internet that says, "11 roses represent(s) 'You are my treasured one; the one I love most in my life.'" It is on the internet, so its gotta be true right? So let your valentine know, "You are my treasured one; the one I love most in my life and I also love some kid who needs that 12th rose to have a life." Make 11 more than 12. It is easy. Use PayPal. OK we d-geeks can be like bird spotters looking for prey in the thickets. So props to my pal Bernard who spotted what sure looks like FDA clearance for the Asante Pearl, a new insulin pump in the wild of the FDA's latest round of 510(k) announcements. 510(k) means something is substantially equivalent to some other approved device and this claims to be the equivalent of and Animas 1200 IR or a Disetronic D-TRONplus. 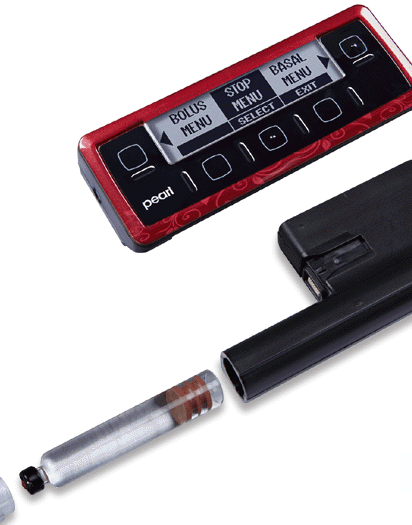 The Pearl insulin pump is designed to make living every day with an insulin pump, easier. Filling a pump reservoir is an outdated process in today’s world. So we designed our insulin pump around a pre-filled insulin cartridge, a simple-to-use interface, a pump that primes itself as you assemble it, and occlusion detection designed to identify occlusions earlier. Not just fancier, but really, less work. The Pearl insulin pump has a durable controller and a replaceable pump body that, once assembled, functions as a "traditional" insulin pump. Just insert the prefilled cartridge into the replaceable pump body that simply clicks together with the controller, and off you go. Half the work, half the time. Reservoirs are not on the top of my list of pump issues but Your Diabetes May Vary. I left a message for a PR guy and will pass on what I learn. Kudos to Bernard for spotting the FDA announcement. T1D NASCAR racer Ryan Reed was on Speed TV's Race Hub last night announcing he will be running a Mustang with Roush Fenway. The #16 sports American Diabetes Association colors. Josh's "Possible Cures for Type-1 in the News (Early Feb)"
Time to recommend reading Josh Levy. Once again I find myself spellbound by his blog and cautiously optimistic. Optimistic not about any give treatment necessarily but about the level of research and diversity of approaches and that somewhere in all of it there may be better treatments, partial cures and maybe... cures. This month Josh writes about Trial of Polyclonal Tregs. There are immune regulatory cells. The idea is they take these from a person, make a bunch more in the lab and put them back in hope of restoring increasing the regulatory balance and preserving beta cell function. Learning about that is cool enough but what sets Josh apart for me is the detail of his discussion. He considers what constitutes remission for researchers. It is not necessarily what we would thing as PWDs. 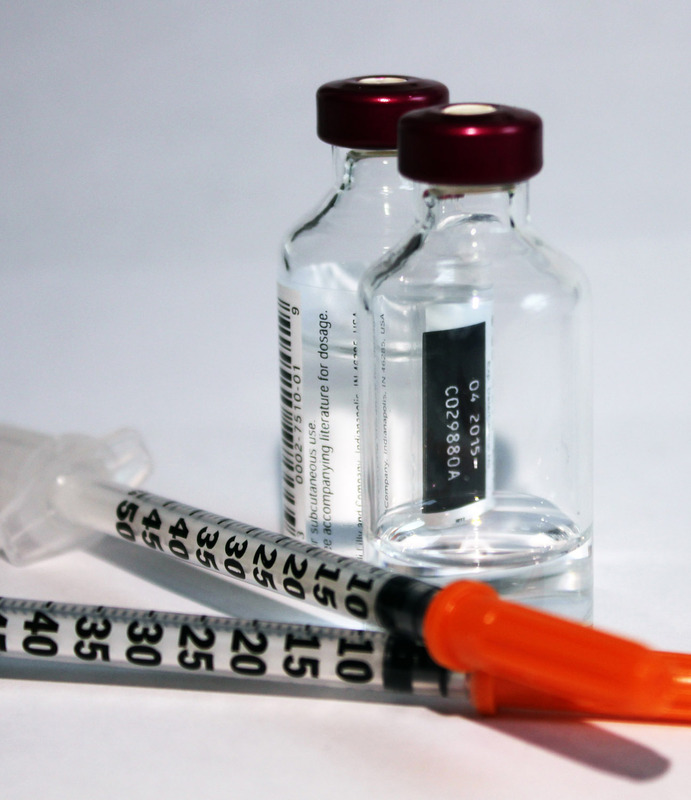 For researchers is is using half the insulin than otherwise, not none. Also Josh has a discussion of the ethics of research and the participation of children in the studies. This matters if a study is looking at the early stages just after diagnosis as there are far fewer adults available with recently diagnosed T1D than kids. This is an important conversation and I am thrilled to see it brought up in thoughtful manner. There is also a conversation of clinical trials on the cocktail mix of Cyclosporine and Lansoprazole. One to stop the autoimmune attack and the other to improve beta cell production. Science matters, understanding it does too and I think Josh does a better job month in and month out at reporting on the science of cures than any other single source I know. As is usually the case my summaries of his blog don't do it justice. The best way I can think to say thanks is to I highly recommend clicking over and having a look for your self. Oh and while you are there sign up for his email updates. Our good friends over at diaTribe have a new issues out and it is chock full of good stuff. First interesting new about the path OmniPod is pursuing with CGM. diaTribe reports that the Pod people are working to a a signal integrated pod/cgm patch. Apparently not the Dexcom sensor but no sensor vendor is named. Very interesting and maybe disappointing to some Pod Dexcom users, YDMV. See diaTribe for details. @SusannahFox has a new hash tag and we DOC folks should play along. What if Health Care... #whatifhc Lets play and add #diabetes.